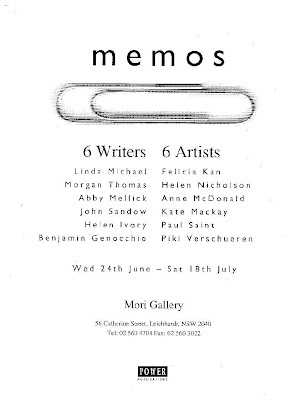 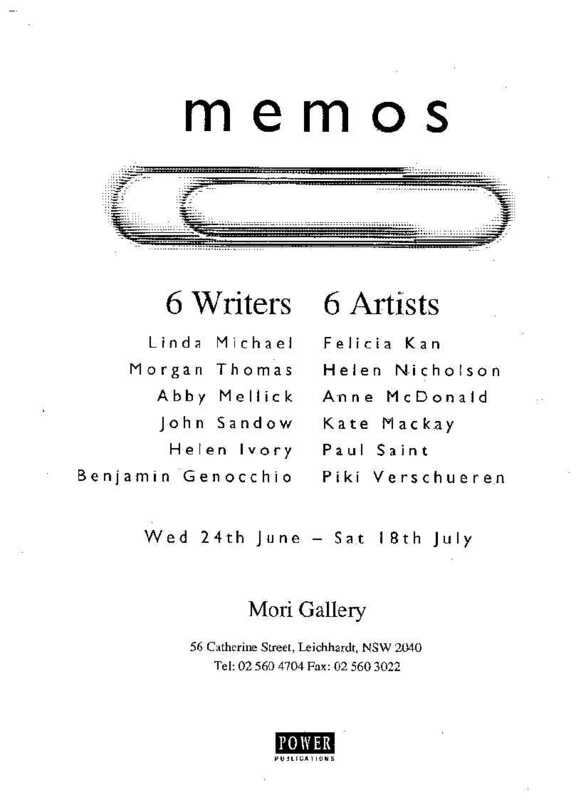 Memos was an exhibition curated by Jo Holder at Mori Gallery that paired 6 writers with 6 artists. 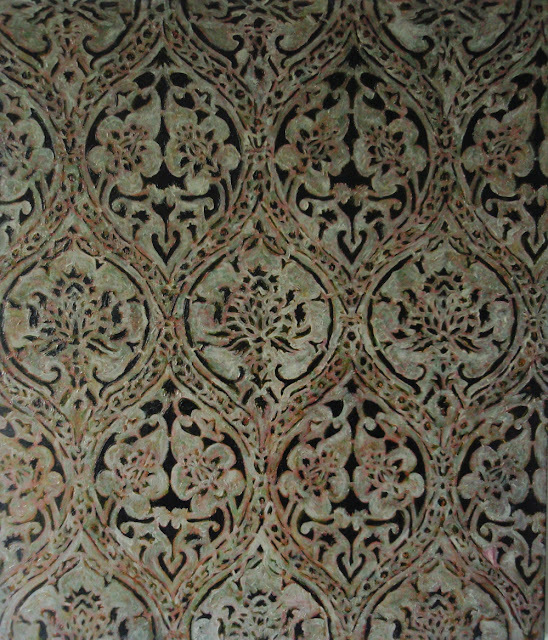 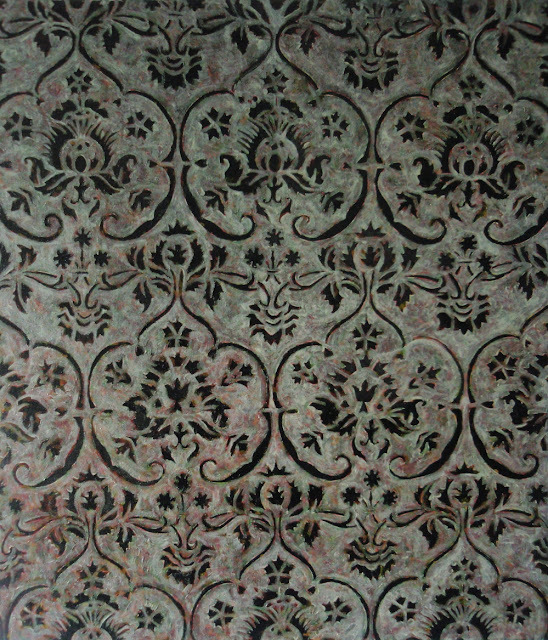 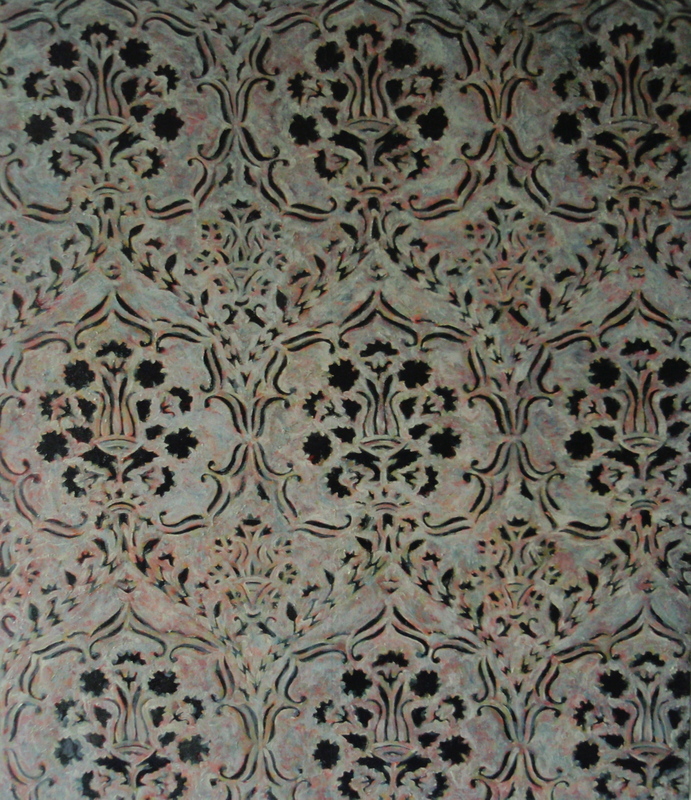 The main work that I exhibited consisted of 4 large paintings - Detail I-IV, surrounded by 12 small works - Detail 1-12. 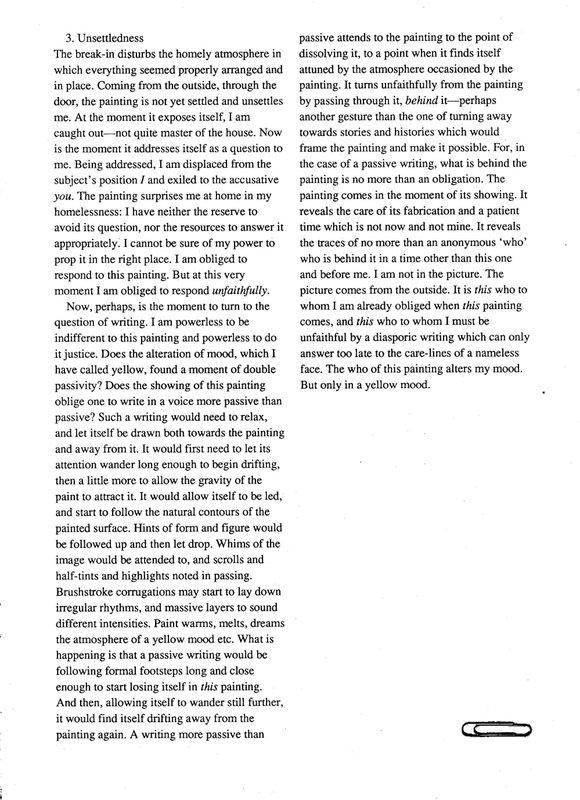 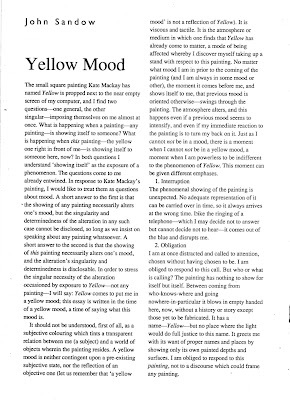 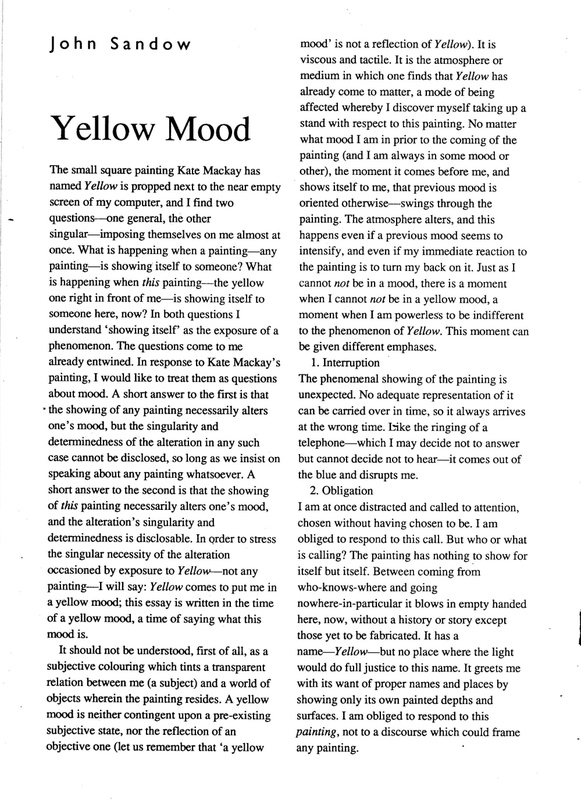 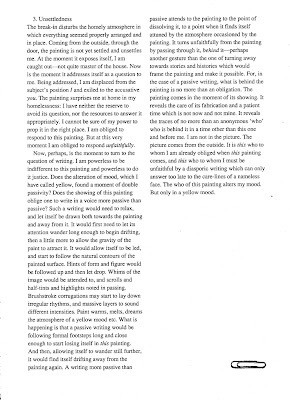 The response to my work was written by John Sandow in a piece called Yellow Mood in which he responded to a small yellow painting that was 1 of 3 (the other 2 being Blue and Red, of course...). 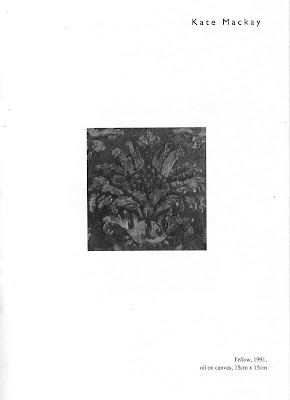 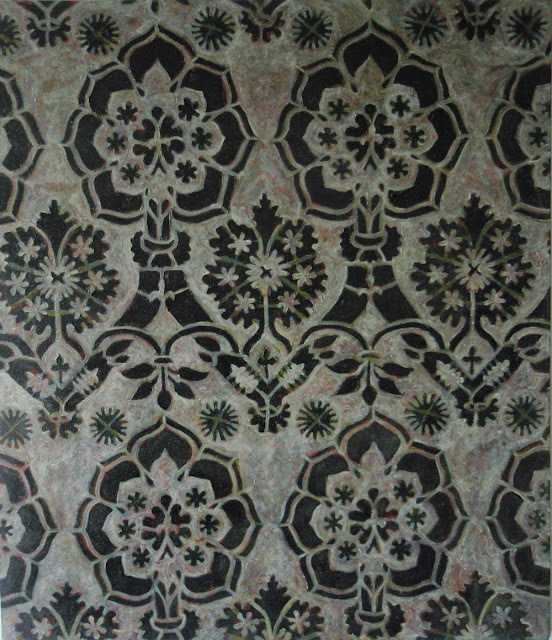 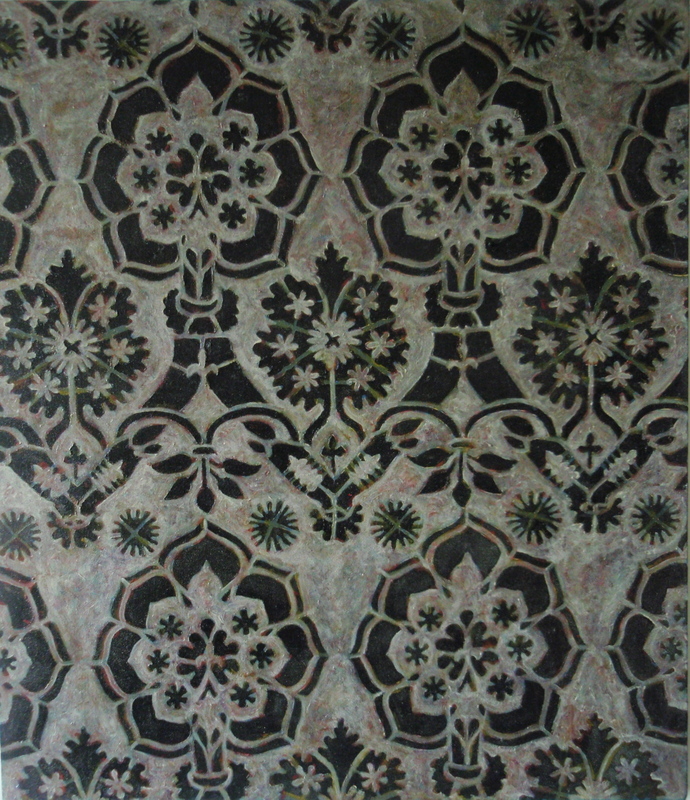 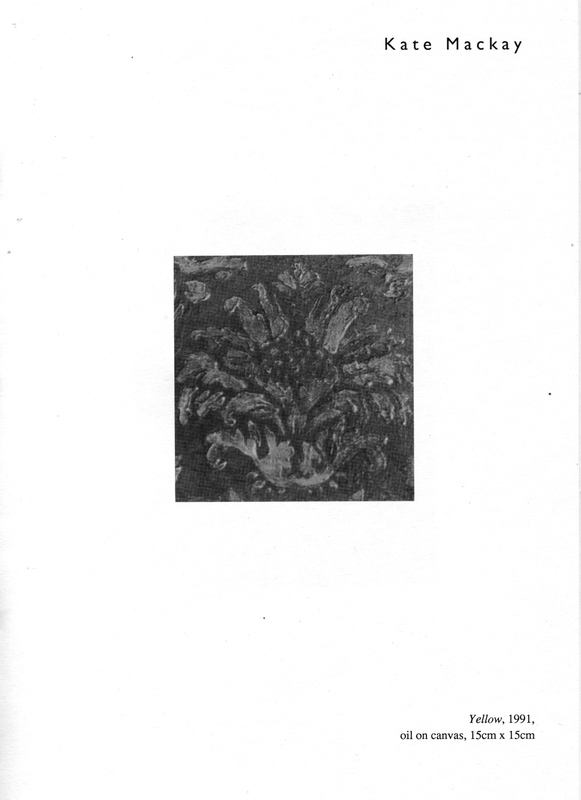 As usual, I no longer have these works, and have no photos of them, except for the black and white reproduction in the catalogue - but they were basically the same image of a stylised flower from a piece of wallpaper, rendered in red, blue and yellow.